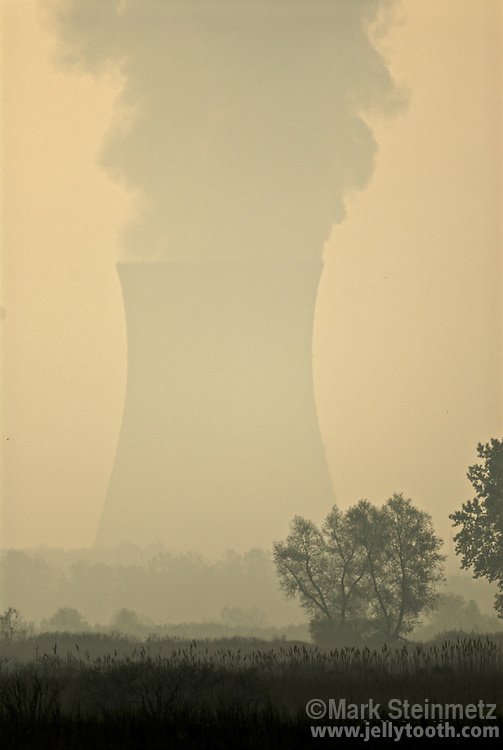 Foggy morning across the wetlands of Magee Marsh WiIdlife Refuge, with a cooling tower of Davis-Besse Nuclear Power Station looming in the background. Magee Marsh is one of the few remaining wetland complexes on the Lake Erie shoreline, and is a designated Important Bird Area. Ottawa County, Ohio, United States.